Welcome to my shop. Creating and sewing has always been a part of my life. I have spent 35 years making and selling many crafts and children's clothes at craft fairs and boutiques. I am blessed with a wonderful husband, five children and seven grandchildren. Through the years I have tried to improve my skills by not only sharing my ideas with others, but by listening and fellowshipping with many creative people. In my world, everything can be used to create, improve or embellish something else. Then I discovered the world of quilting and now love providing long-arm quilting services. Sooo much fun, should have done this long ago! Come on in, I would love to visit with you. 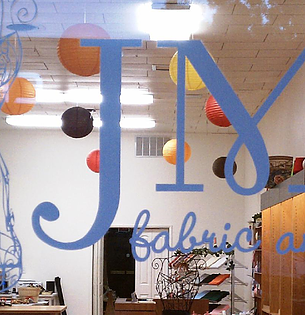 Our vision - we saw a need in our community for a fabric, quilting and scrapbooking store. After much thought and prayer, we opened our doors in October of 2011. Together with my husband and daughter, we strive to provide outstanding customer service and to cater to your needs. We started small, but are continually adding new items to the store so please check back often. 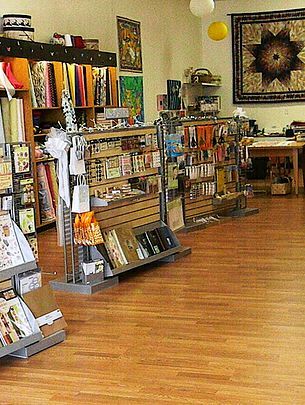 Batiks, children's fabric, assorted fat quarters, quilter's cottons, assorted quilt kits and many new patterns can be found in our Los Banos Shop. We love visiting with customers, so stop by and say hello. If you need some creative assistance with a project or idea, or want to share an idea or technique with us, we would love to hear from you. Our customers are always welcome to come by and just visit.